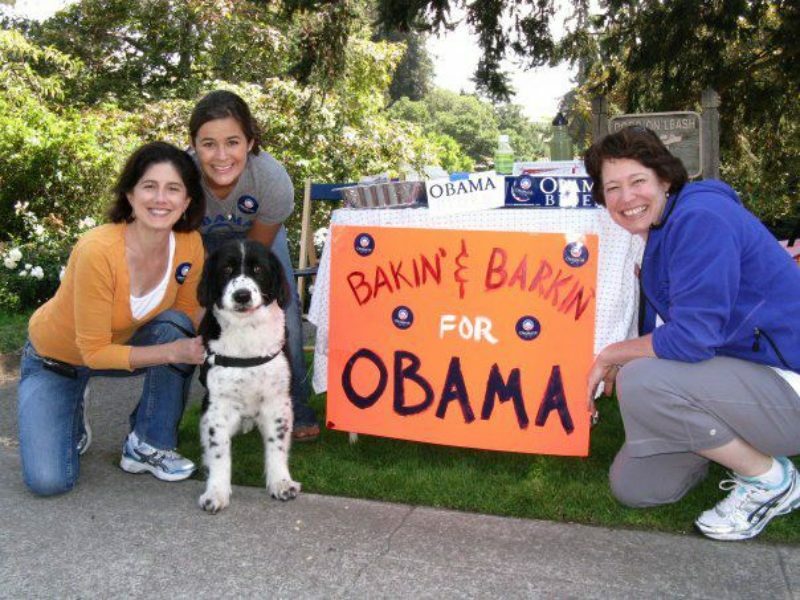 Relive the 2008 election through the eyes and words of those who lived it below. 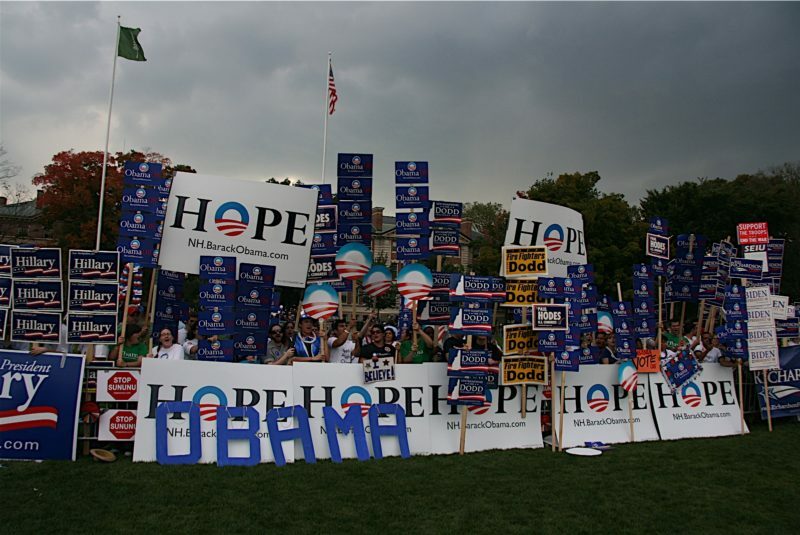 Senator Obama announces his candidacy for President of the United States in Springfield, IL. 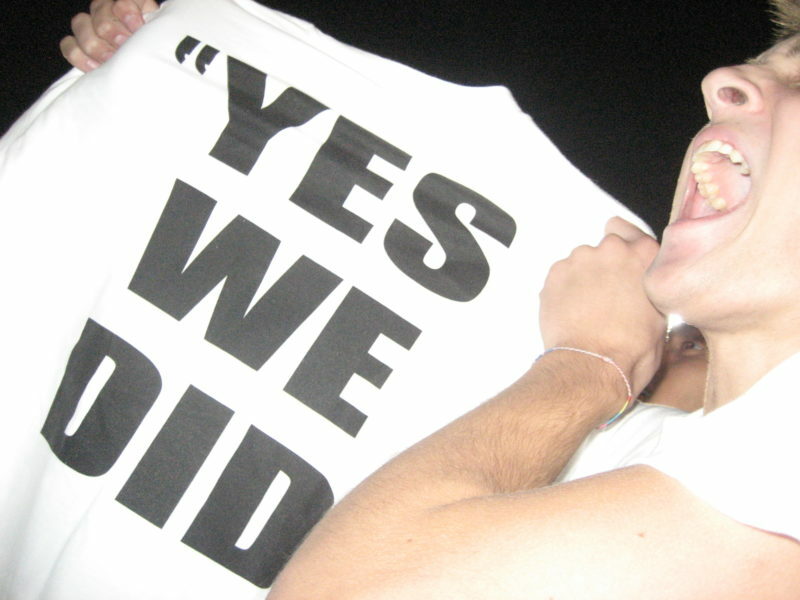 Jared shares his memories from watching then-Senator Obama announce his candidacy. In this election—in this moment—let us reach for what we know is possible. A nation healed. A world repaired. 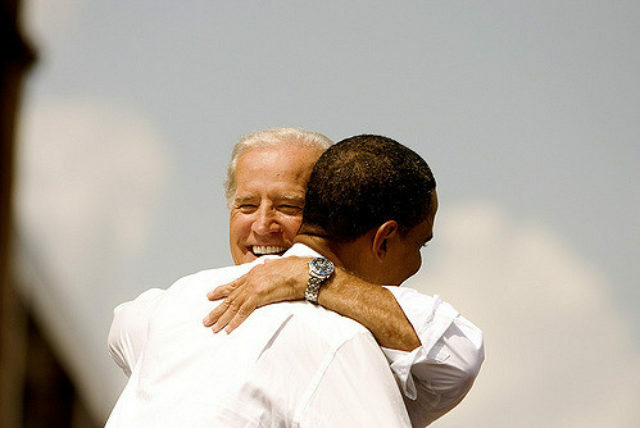 An America that believes again. 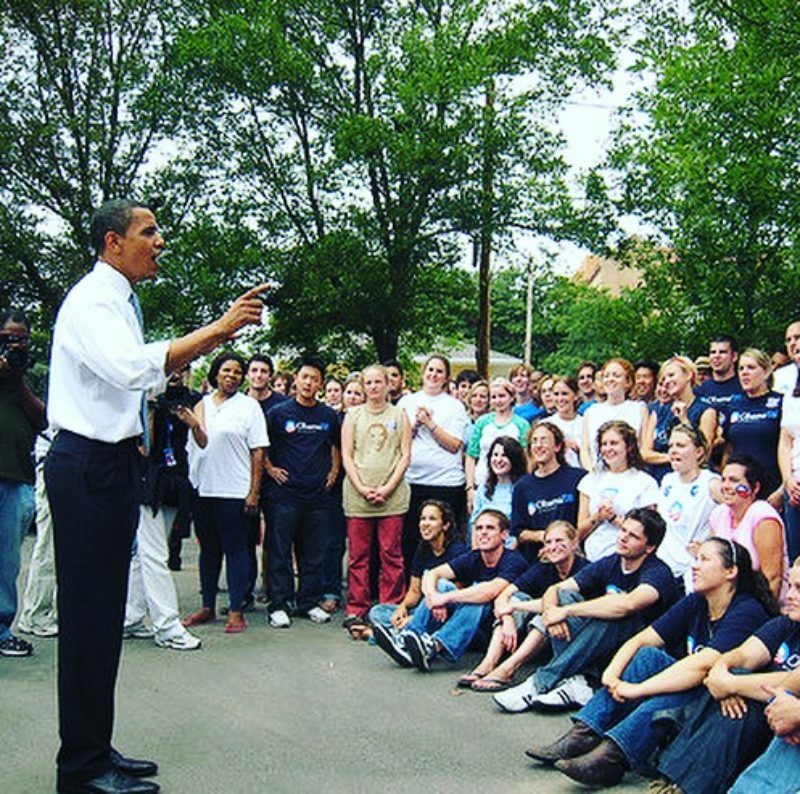 Hear President Obama reflect on the Iowa caucuses and the extraordinary role organizers and volunteers played in building relationships with the communities they worked in and shaping the course of then-Senator Obama’s presidential campaign. 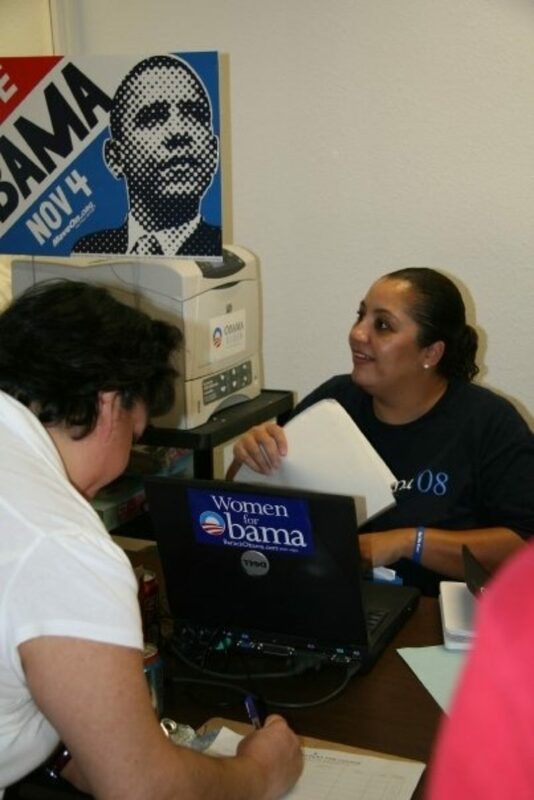 Regina M., co-founder of Obama San Diego, works at a phone bank. 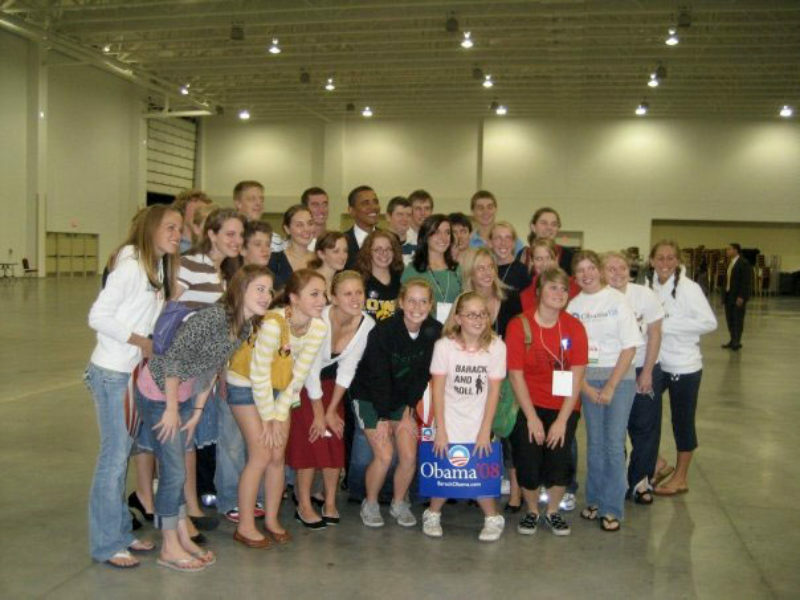 After graduating from Oelwein High school in rural Iowa, I volunteered for the first time for the Barack Obama campaign. It was a beginning for both of us. 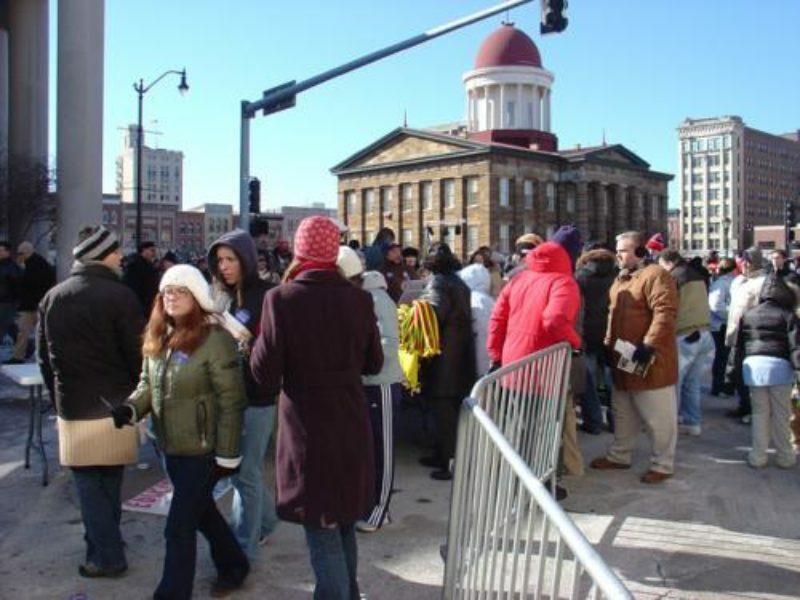 For when we have faced down impossible odds, when we've been told we're not ready or that we shouldn't try or that we can't, generations of Americans have responded with a simple creed that sums up the spirit of a people: Yes, we can. 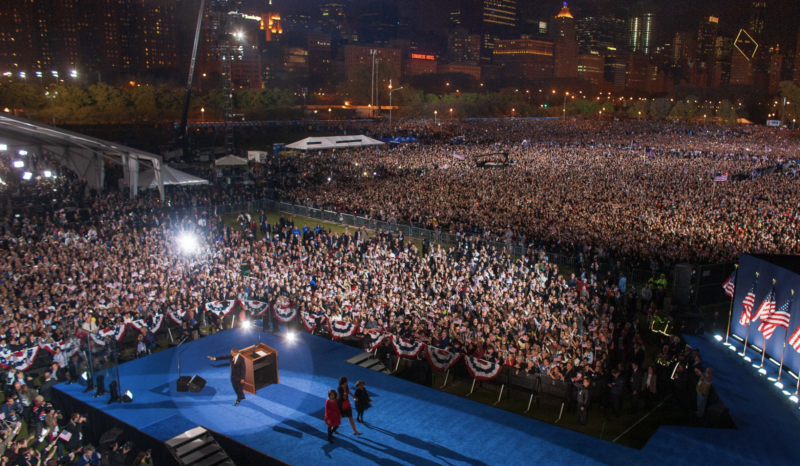 As the presumptive Democratic nominee for president, Senator Obama speaks to his campaign staff in Chicago. 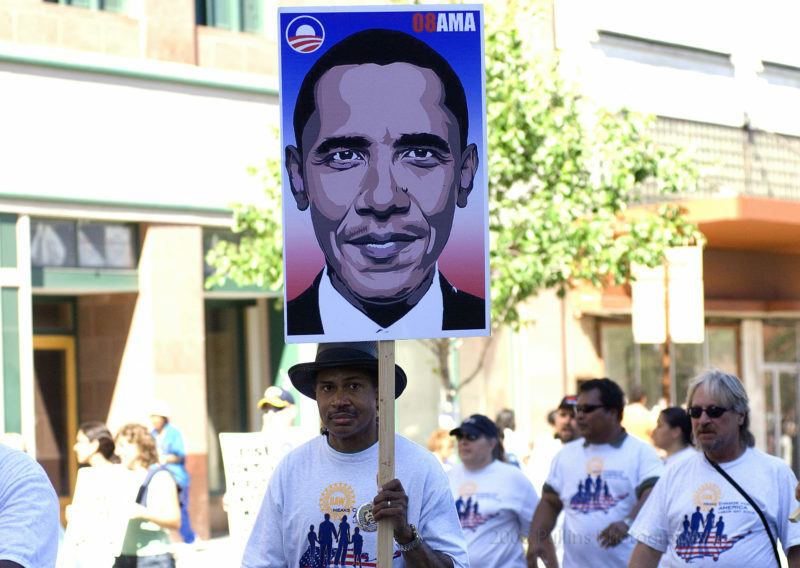 Michael M. serves as a first time delegate at the 2008 Democratic convention in Denver. 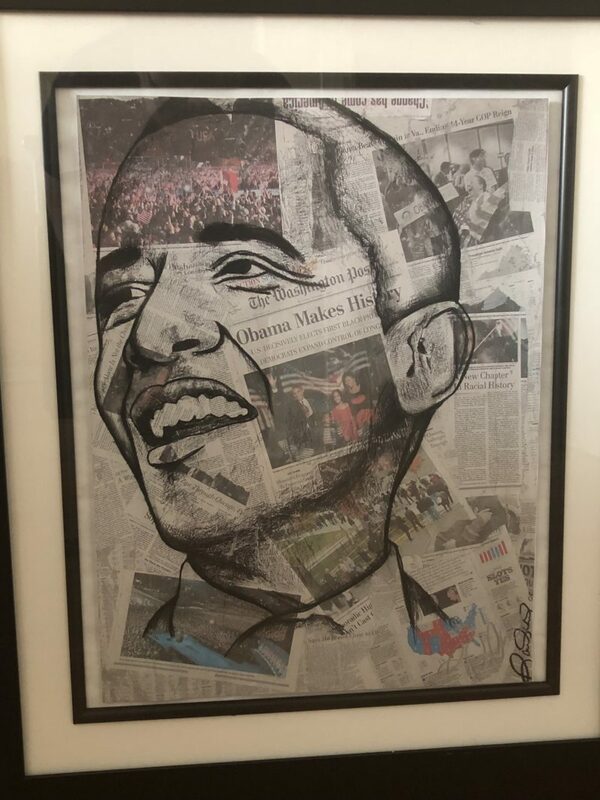 Barack Obama's speech tonight was marvelous, hitting all the right notes...A number of people said they expected to be emotionally moved to tears, but instead, found themselves fired up for action. 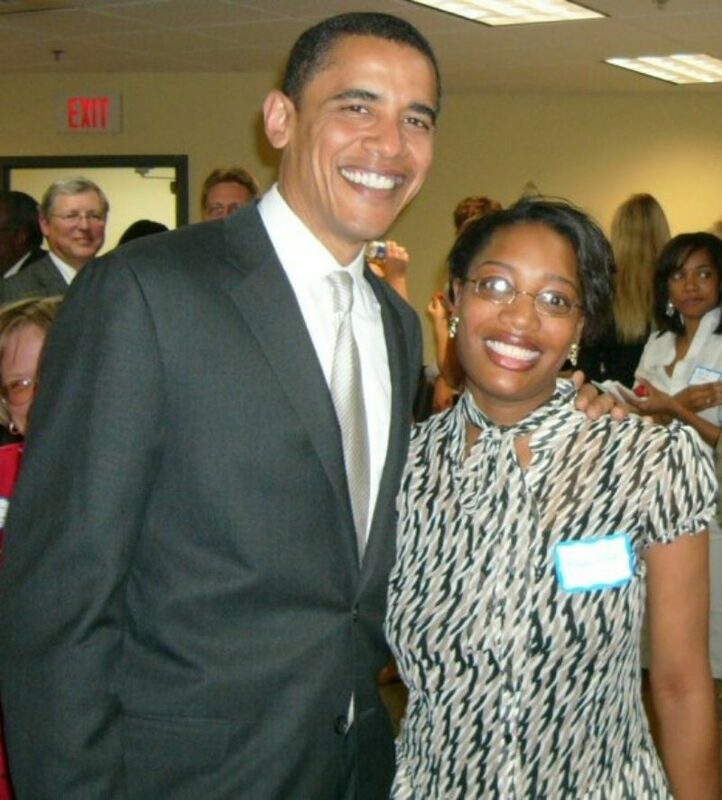 Then-Senator Obama smiles for a photo with a supporter. Hear the story behind the iconic photo of President Obama holding hands with his mother-in-law, Mrs. Robinson, and what that moment meant to her and the course of history. I was living in Ireland at the time. 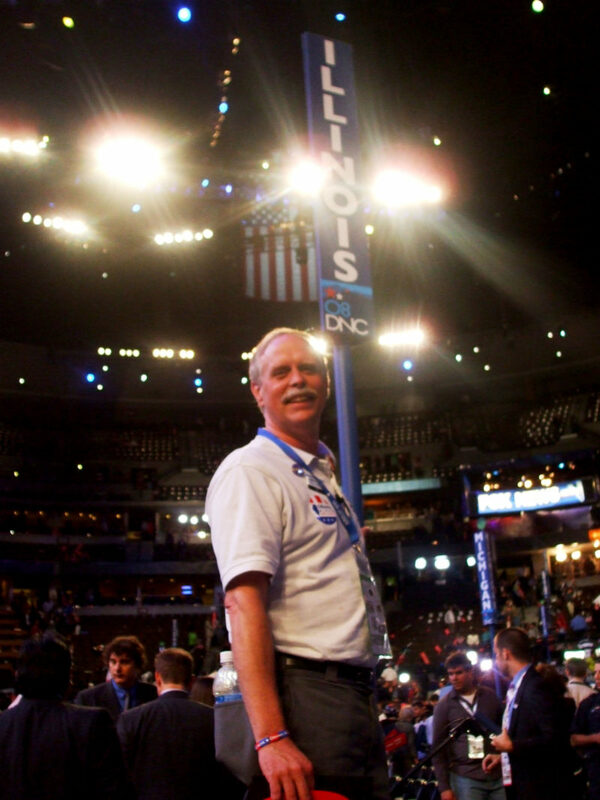 It was quiet—3 AM, when the polling numbers rolled in. I was beside myself. Literally twitching with excitement. It was a moment I will never forget in my lifetime. 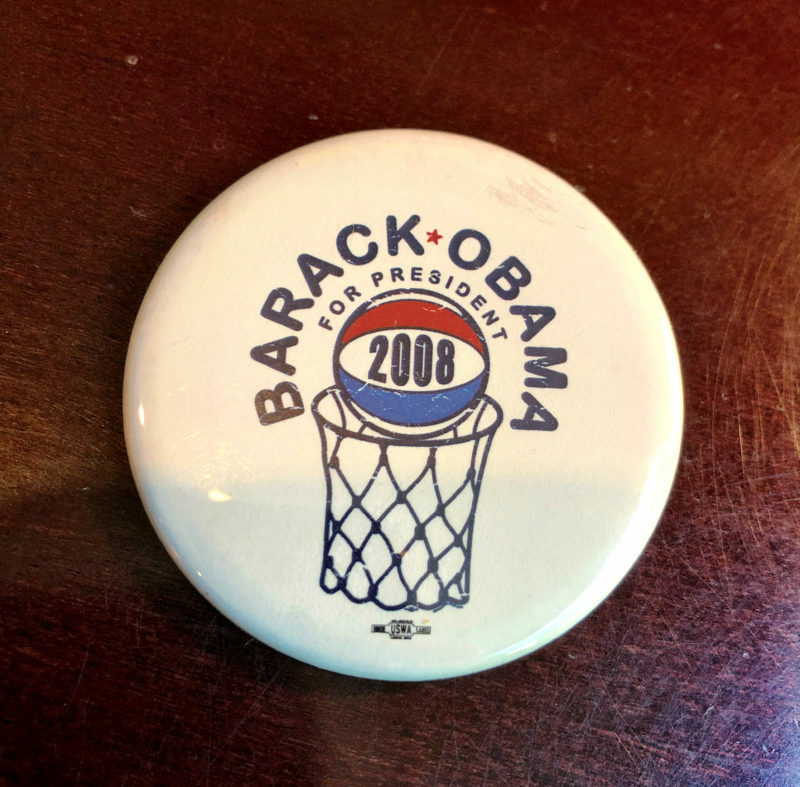 We had elected an African-American President. 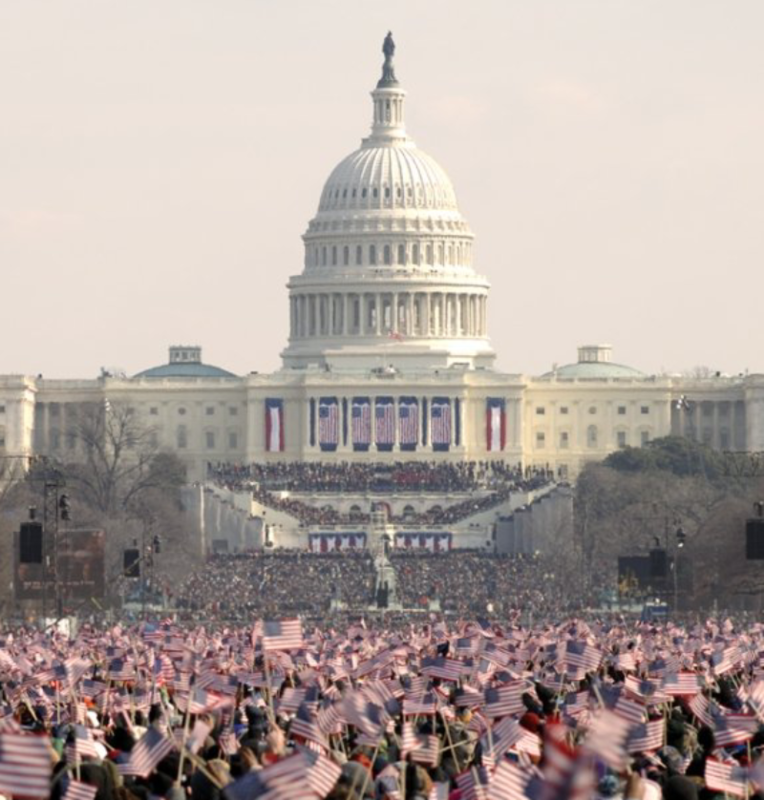 I was extremely proud in that moment to be an American. 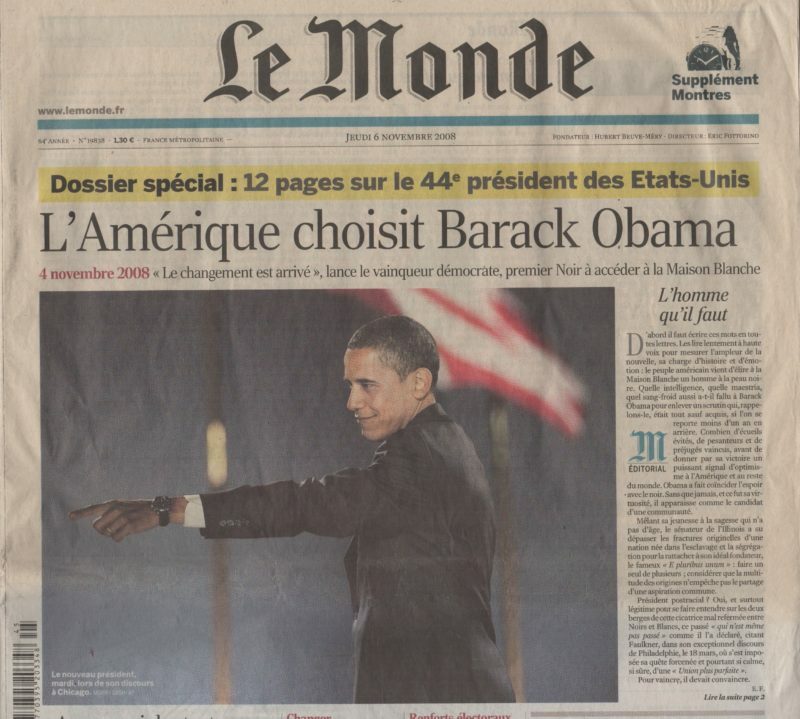 The front page of Le Monde announcing President-Elect Obama's victory. 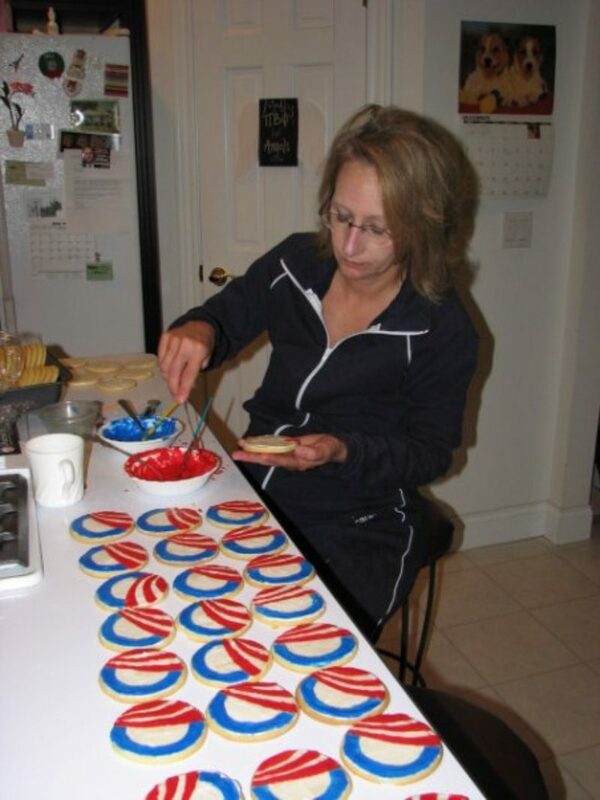 Evelyn C. shares her memories from election night. 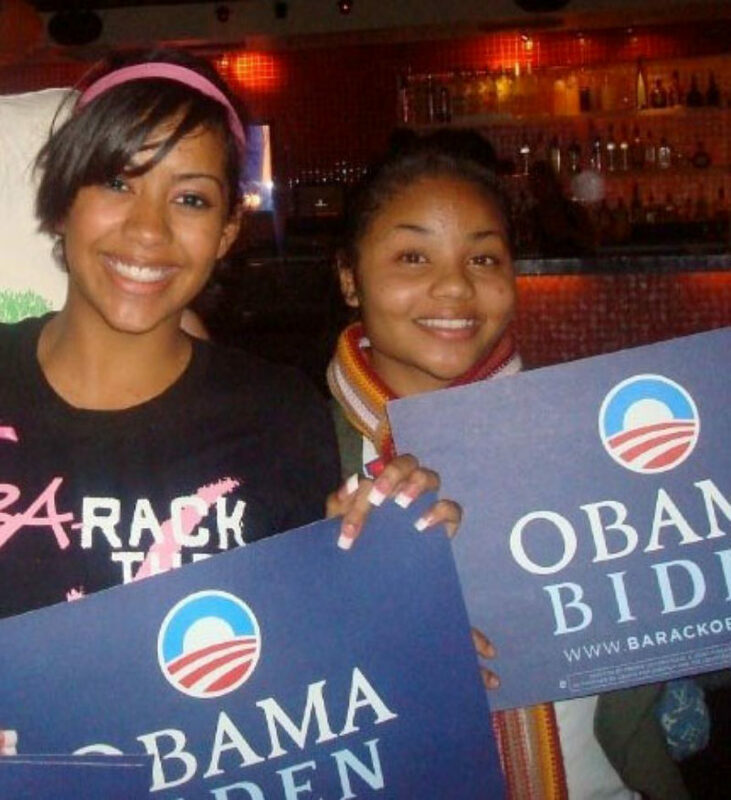 On the night of the election in 2008, I was returning home from work on a packed bus. Usually, a Seattle bus ride is quiet, but people were stirring that night; there was a lot of excited chatter. The bus driver announced "I got to pull over. I need a minute." He was crying happy tears, and so was I. 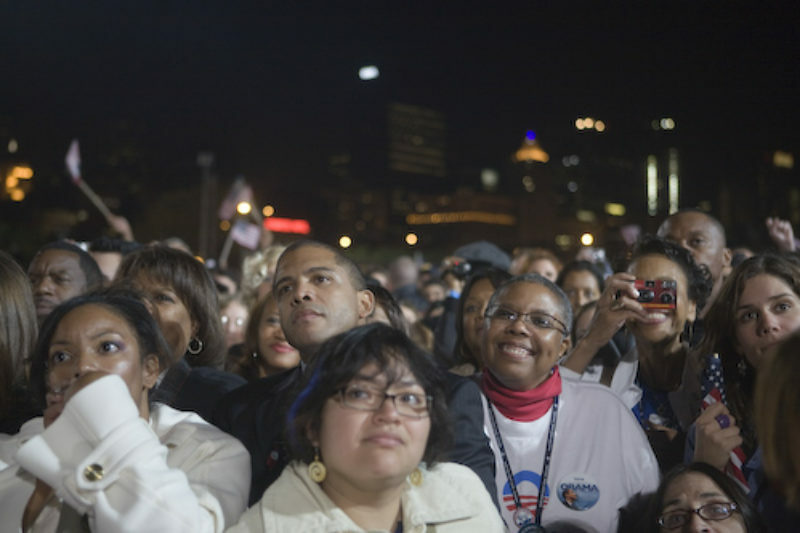 Supporters listen to President-elect Obama's remarks in Chicago's Grant Park. 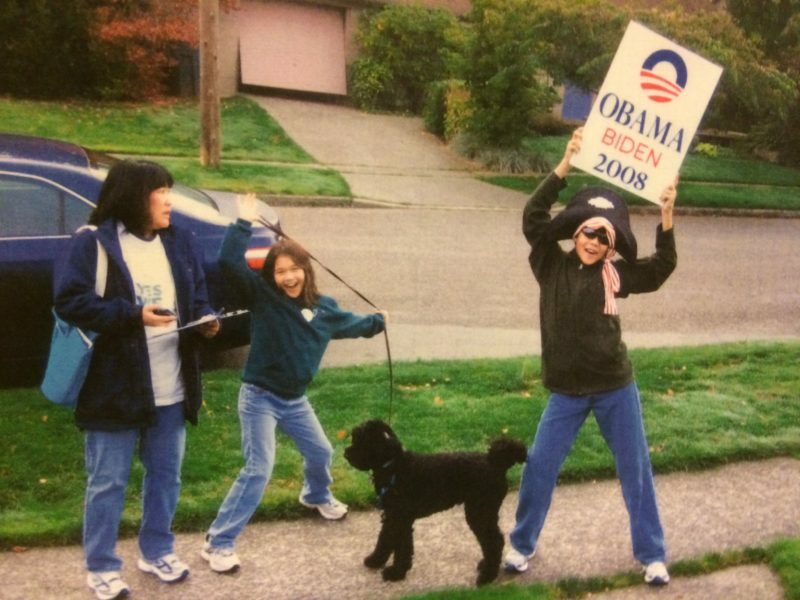 Cortney C. shares her memories from election night. 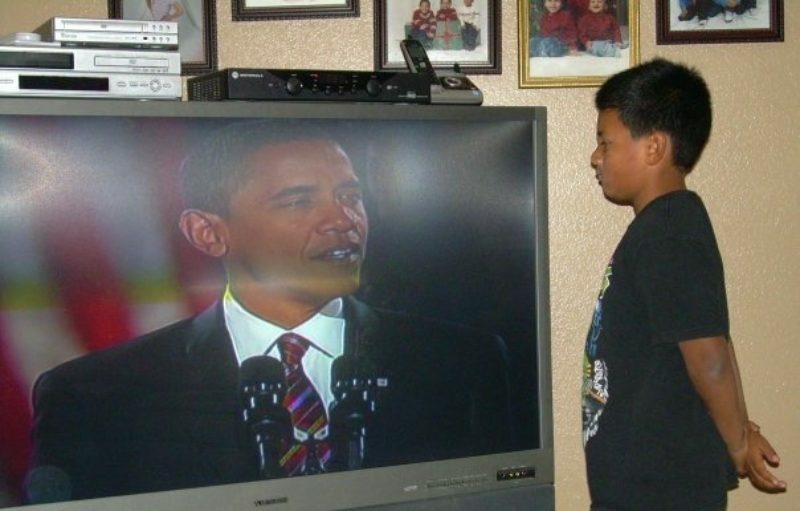 I was watching TV in Nairobi and praying for Barack to win. 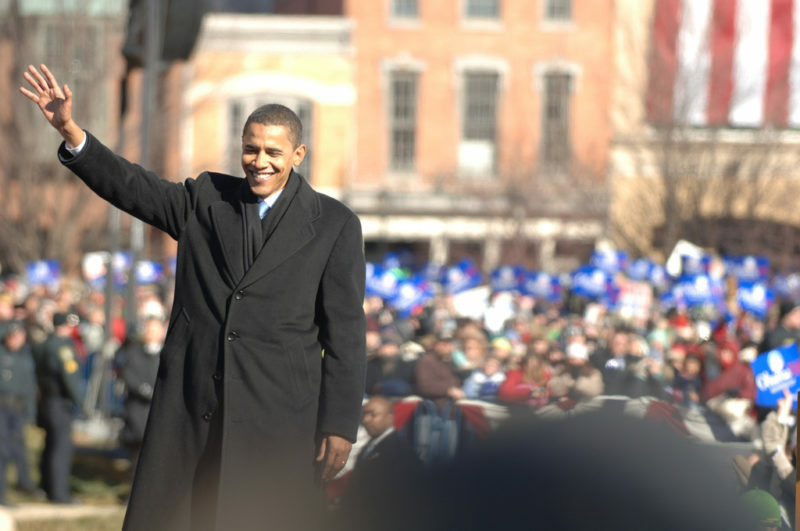 It was the greatest moment for me, because change had come to the world, and it marked a new beginning for those of us who believed in the change he represented. 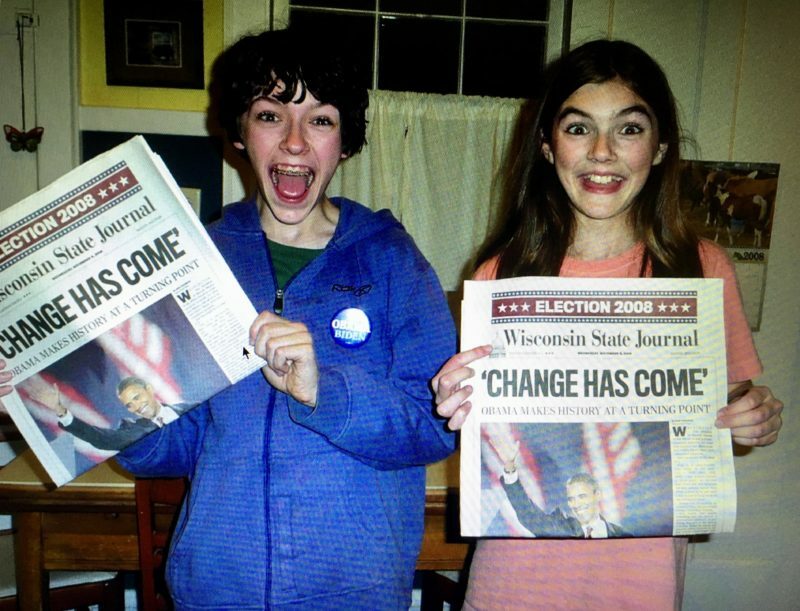 Wisconsinites show their excitement after President-Elect Obama's victory. We were so exhausted, a bit frozen, but SO happy and honored to have been there to watch President Obama take the oath of office and give his inaugural speech.